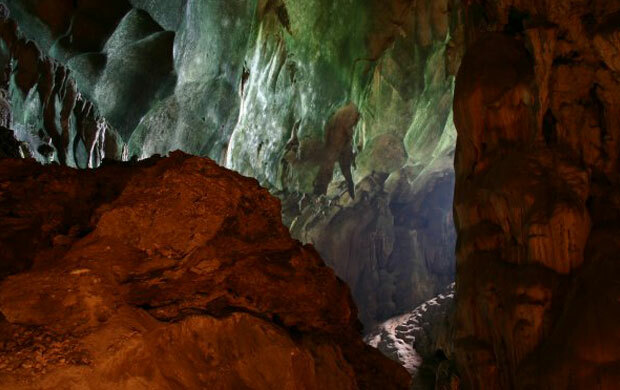 CAVING KANDU CAVE TOUR in GOPENG PERAK Malaysia | RIVERBUG - Discover Sabah, Borneo With Us! Deep within the jungle of Malaysia is one of the most majestic white marble and limestone towers called Gua Tempurung. Concealed within this limestone massif is an intricate system of caves of various dimensions honeycombed inside the limestone hills. Gua Tempurung, is located in Gopeng, Perak, and can be reached from the North-South Highway by exiting through the Gopeng Interchange (about 25 km south of Ipoh). You then take Federal Route 1 and proceed south about 2 km until Kampung Gunung Mesah. Turn left and drive through the kampung road for about 4 km. This kampung road can support heavy vehicles including buses. As you drive through this kampung area you begin to see the limestone hills in the distance. Approaching the caves is a mystical experience with the mist hovering above the hills. 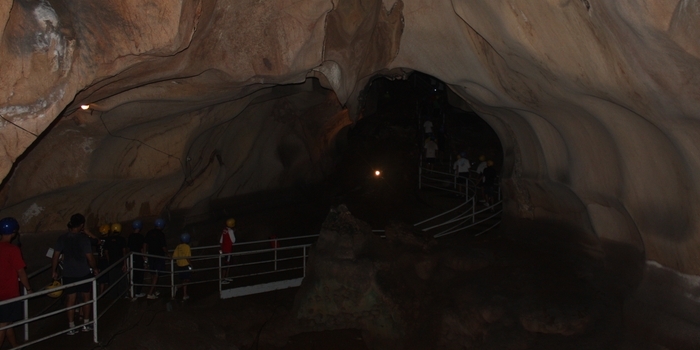 When exploring the cave one would have to crawl to fit through the labyrinth of stalagmites and stalactites. Bats could be heard squealing in the high caverns throughout the cave lending a very surreal atmosphere to the entire experience. It is all pitch black once you are in the cave and having flashlight is a must to all. A stalagmite aged over 2 million years old stands majestically right in the center of the cave that will make you appreciate more the wonder of nature. At the base of this ancient stalagmite is a running river. Where pebbles from the river are so tempting that you need to get hold of them and keep it as a souvenir. When you finally reached the exit of the cave and you will see the sunlight filters down through the lush jungle greenery, with monkeys and birds frolicking all about, you are now truly in God kingdom. 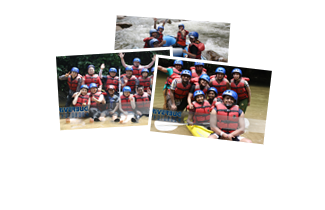 Pick up from Gopeng Toll Exit Plaza (Exit 135) who will then lead you to the parking area at Ulu River Lodge, then assemble there and transfer to Gua Tempurung. Journey will take around 15 minutes. 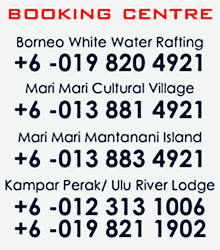 Pick up at Gopeng Toll Exit Plaza (Exit 135) who will then lead you to the parking area at Ulu River Lodge, then assemble there and transfer to Kandu Cave. Journey will take around 10 minutes. Arrive at Kandu Cave. 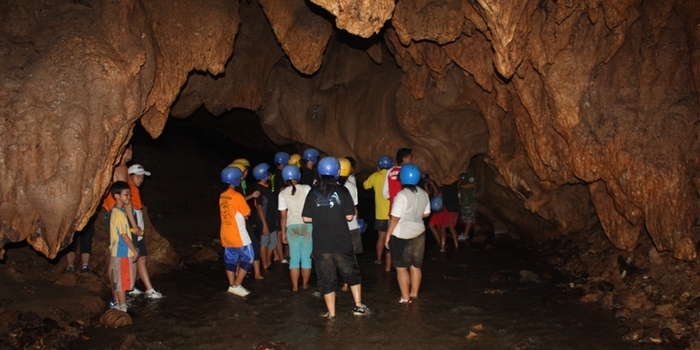 Briefing will be given by guide, start caving. Kandu cave exploration for three hours.